Largo, MD — October 17, 2018 — CLEO alumna California Congresswoman Nanette Diaz Barragán will be honored as an outstanding proponent of Greater Equality at the Council on Legal Education Opportunity, Inc.’s 50thAnniversary CLEO EDGE Awards Gala on November 15, 2018, at The Ritz Carlton Washington, DC. Barragán, who represents California’s 44th District, will also be a presenter during the gala. The awards gala will highlight the three pillars which are the foundation for the organization’s purpose: Education, Diversity and Greater Equality. Fifty other individuals and organizations in each category will also be honored at the event. Vernon E. Jordan, Jr. will receive the CLEO EDGE Heritage Award which will be hereafter named for Jordan.Barragán, a first-generation college graduate, is one of the many thousands of program participants of CLEO’s Pre-Law Summer Institute. 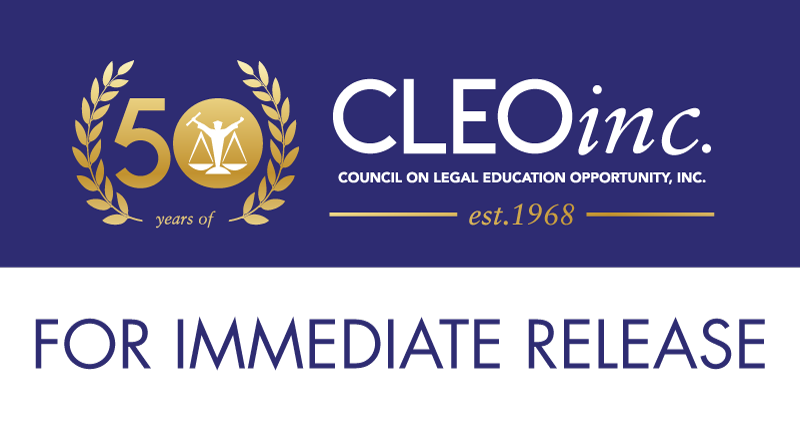 CLEO is the preeminent organization for preparing persons from traditionally under-represented racial and ethnic groups, low-income, and disadvantaged communities to become successful legal practitioners. Barragán spent six weeks in the CLEO Pre-Law Summer Institute at the Arizona State University Sandra Day O’Connor College of Law in 2002. Barragán has had a varied legal and political career. She worked for Latham & Watkins, LLP, considered one of the most prestigious and profitable law firms in the world. After Hurricane Katrina, Barragán provided pro bono assistance concerning insurance claims to victims of the hurricane. She also worked for AlvaradoSmith APC, one of the largest minority-owned law firms in California. She was the first Latina ever elected to the Hermosa Beach, California, City Council, and the Mayor of the city. The Congresswoman was catapulted into the media headlines, the legal community, and the nation by her win to Congress. She also has been a commentator on CNN.